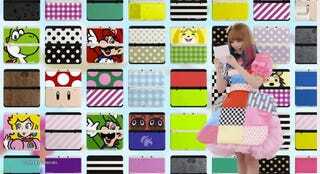 When Nintendo announced the New Nintendo 3DS would be getting faceplates, honestly, I rolled my eyes. Like, actually rolled them. But you know what? The faceplates seem like they could be pretty neat. But yes, once the NN3DS gets released in your region, brace yourself for a flood of faceplates. In case you missed it, see how the New Nintendo 3DS compares to the original.